In The Art of Prospecting for New Clients, Part 1, I discussed the most immediate return for invested time, individuals that are already at your facility trying to change their fitness level. In this post we’ll address how you go about getting prospective clients into your facility. For the sake of brevity, I’m going keep this about-face to face meetings. Find out where they are. 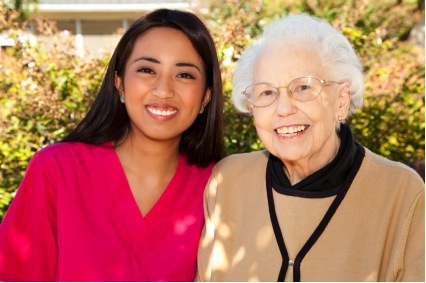 In example, if you’re seeking to connect with seniors you may want to go check out the senior center, senior college, local churches, or other groups for the older population. Get involved with these groups. You don’t need to be a senior. Volunteer. This could be your service as a presenter of health and fitness information or simply to help out with their day-to-day needs. The key is to become someone they know and trust. Note: Do not come to the group with your marketing guns a blazin’ or they will reject you. It’s not about you, it’s about them. Work on building relationships. Once people trust you, they will ask you, give you permission, to tell them more about how they might become more fit. When you are asked, and this is true for any time you are asked (like at a party when someone finds our you are a trainer and they want to know how to lose “this” area.) proceed mindfully. Making recommendations without knowing all the important details is reckless and probably won’t get you the client. Your goal is to get them to come to your office or club so that you can sit down with them to find out all relevant information. This will allow you to make your best recommendation as to how to proceed from there. 1) Listen to what they are saying and acknowledge their concerns. 2) If you believe you can help them, tell them so. 4) If you can make an appointment now, do it. Then take their number so you can call and confirm. Give them yours in case they need to change times/days. 5) If you can’t make an appointment now, get an idea of what times and days are good for them. Then take their number so you can schedule the appointment. Give them yours in case they need to change times/days. Remember to get out and meet your prospective clients where they spend time. Take time and build a relationship with them. Then, when they ask or you see an opportunity to help, invite them to sit and talk. Getting them to come in is the best way to be able to help them by gaining them as a client. What groups do you connect with to find prospective clients? Please post them in the comments. I’d love to hear about it. While the point of sale (when an individual buys a club membership) is one place that personal training can be sold, it is not where the greatest potential for acquiring new clients is. One of the best places to engage these members is on the Training Floor. There are two main methods of gaining new clients on the Training Floor. Both options should take place within the time that you wish to gain clients (if they’re in the club when you are willing to work, your time schedules will likely mesh). Walking the Floor in Uniform is a great opportunity to establish your presence as a personal trainer. Make an effort to introduce yourself and meet everyone on the floor. Approach those performing exercises correctly. Introduce yourself. Complement them on their form and effort. You may ask where they learned the exercise. Then ask what their heath/fitness goals are and if they feel that they are achieving them. If they are, congratulate them and let them know that if they have any questions, that you are more than happy to be of service. If they are not achieving their goals, ask what they think may be holding them back. Listen to their response then let them know that you’d love to help and that you could schedule a half hour to sit down and have a more in-depth conversation after which you could offer more personalized suggestions. Approach those that you believe are performing exercises in poor form. Introduce yourself. Positively note their effort, ask what they are trying to accomplish with that exercise, then, if appropriate* offer a correction to make the exercise more effective or offer a different exercise entirely. (*sometimes, hearing what they are trying to accomplish may justify the form they are using). Then proceed as with those performing exercises correctly, (sorry for the repetition, but this part is important.) ask what their heath/fitness goals are and if they feel that they are achieving them. If they are, congratulate them and let them know that if they have any questions, that you are more than happy to be of service. If they are not achieving their goals, ask what they think may be holding them back. Listen to their response then let them know that you’d love to help and that you could schedule a half hour to sit down and have a more in-depth conversation after which you could offer more personalized suggestions. When helping members on the floor, a trainer should limit his/her time with each member. If the trainer is locked in conversation with one person, he/she can be perceived as inaccessible to other members. You can come back to that member after walking around, putting equipment back in place, and interacting with other members. Keep in mind, having extended, exclusive time with a trainer is why people purchase personal training. Working out on the Training Floor creates a casual opportunity for members to approach you and you should capitalize on it. While the conversations on the floor may slow your workout down, trainers must weigh that with increasing the chance of gaining new clients. (Never wear headphones while working out. It sends the message that you are unavailable.) The conversations can proceed in the same progression as with Walking the Floor in Uniform. Note: I just picked up a new client this morning by being accessible while I was working out. The members of your club are your greatest potential for new clients. Don’t let the opportunities slip by you. The ALS Ice Bucket Challenge, Why Did It Go Viral? Have you been challenged to the ALS Ice Bucket Challenge yet and did you complete it? The media is swamped with videos of groups and individuals dumping ice water over themselves. Why did this event catch on like it did? Over 3 million donors gave during this challenge and, according to the ALS Association, they have collected over 100.9 million dollars in donations compared with 2.8 million at this time last year. Amazing response to say the least. Why??? Amyotrophic lateral sclerosis (ALS) is not the leading cause of death in the United States. It’s not even in the top ten. Why this cause? What prompted people to do this? Here are some of the reasons that I believe it has been such a success. 1) This movement struck a chord with the public that allowed them to be part of something important. It created/is creating a greater awareness of this particular disease and with that awareness comes understanding for those afflicted with ALS and an increased likelihood of money being donated to help find a cure. 2) The act of dumping a bucket full of icy water is silly. This allows people to have fun with it and get creative. 4) Social media allows ideas to spread like a, oh, I don’t know… a virus, maybe! You do the challenge and call out your friends. Your friends do the challenge and call out their friends. Your friends’ friends do the challenge, etc. The ALS Ice Bucket Challenge has all of the elements to make it the successful campaign that it is. Why am I writing about this in a fitness business blog? 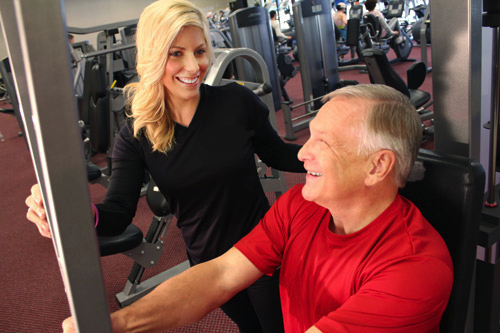 We, as fitness professionals, are in the business of helping people become more healthy. 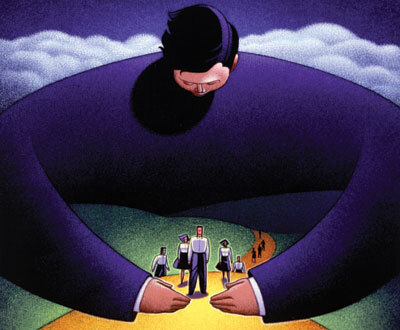 It is within our scope of interest to champion a health issue, align ourselves with a charity. How can we use the elements of the ALS Challenge to bring light to the charity of our choice? One thing that I’ve done in the past is run Zombie Boot Camps on Halloween to benefit the local food pantry. Now I need to think of how I can go bigger with it (and I have an idea…). Are you doing something to benefit some cause? Let us know about it in the comments below. By the way, if you would like to donate to the ALS Association, click here. A mentor, according to Merriam-Webster, is “someone who teaches or gives help and advice to a less experienced and often younger person.” I don’t think I’m going out on a limb when I say that all successful Personal Trainers have had at least one mentor in their lives. I’ve had many. And I would not be the professional or the person that I am today had I not. My mentors were and are people I trust, like and admire who have been open, honest and willing to share their expertise with me. I would also like to believe that I have, in turn, been a mentor to others whenever I have been able. It is enormously fulfilling to help others reach their potential. If it is as rewarding as I say, why don’t more people mentor others? Maybe they don’t think they have enough experience. I understand that, although I think everybody has something to share. I’ve also heard (and this is the one that floors me) Trainers say, “I’m not telling other Trainers how I do things because then they’ll be taking clients that I should be getting.” So, they’re not willing to mentor others for fear that there’s not enough business to go around and that somehow helping other Personal Trainers become better limits their own earning potential. That simply shows their insecurity and, frankly, ignorance. If you truly believe you are a great Personal Trainer then you know you can get the clients and aren’t threatened by others. And to think there aren’t enough clients to go around is ridiculous. How many people need post-rehab training, want to be in better condition for their sport, want to function better in their day-to-day activities, and of the nearly 70% of the population that’s overweight or obese, how many would like to lose weight? Successful Personal Trainers are mentors because helping others succeed is a way of giving back and a way to share in the joy of others reaching their goals. Check out the full series. P.S. Also, follow my Business of Personal Training page on Facebook. One of the limitations of having a pay-per-service career is that there are only so many hours in a day to help people, and through that, make a living. Successful Trainers know that the one person/hour training is old school. While it may still be effective and rewarding, it isn’t always the most efficient use of our time. Small Group Training (SGT) and Boot Camps have become more popular. in part because of the recession and their decreased cost per participant, but also because Trainers realized that by training more than one person at a time, they could increase their ability to reach more people and increase their revenue/hour. 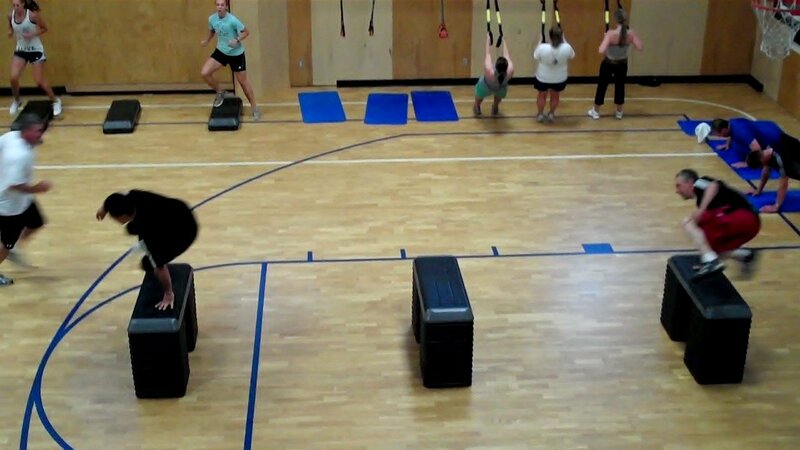 Small Group Training may be equipment specific (i.e. a TRX or BOSU SGT) or it may be goal specific programs such as a ski conditioning, weight loss, or low back health SGTs. Personally, I believe that the more program specific your SGT (know your niche), the more specific/targeted your marketing can be. The groups typically range from 2 to 10 participants (at some point you have to differentiate what number is SGT and what is Group Exercise). Group Exercise is an extension of SGT, allowing for more participants and, as long as it’s a pay-for service, greater income for the Trainer. Boot Camps have become all the rage with Personal Trainers and there are now many Boot Camp success “systems” being marketed. Boot Camps are, just for the record, Group Exercise classes with a particular style. Typically they require little equipment, can, and often are, done outside, offer a lot of variety, and have a participant expectation of “This is going to kick my #@*.” When people expect to work hard and do work hard, they see greater results. This helps feed the success seen with Boot Camps. A word of caution, what truly separates the top Trainers from the rest is that, with more people in the mix, there is a much greater responsibility on the Trainer. You have to work harder to see and correct everyone in a group than you would in a one-on-one scenario. Another way successful Personal Trainers maximize their time is by creating passive sources of income such as writing books, producing dvds, webinars, podcasts, etc. These sources, once produced, can keep revenue coming in with little to no additional work. Successful Personal Trainers maximize their time by utilizing Small Group Training, Group Exercise, Boot Camps and through passive sources of income. Which ones are you currently using and which would you like to do? Let us know in the comments below. 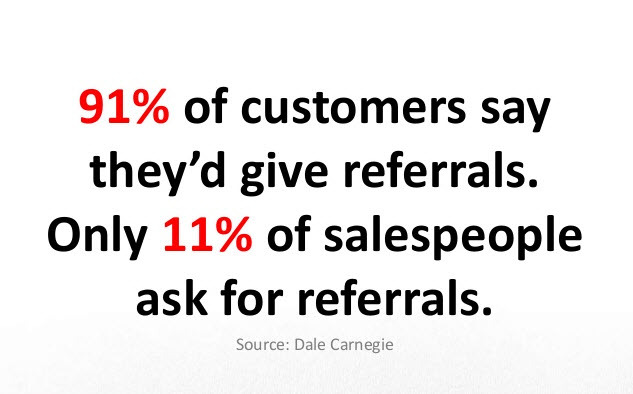 One of the best ways to gain new clients is to get referrals. An advertisement that you may see in the paper, on the news, or hear on the radio, will never carry the weight of a friend or someone you trust making a recommendation to you. Some people will refer others to you on their own (we love those people), but often times you will need to ask for referrals. Many Personal Trainers hesitate to ask for referrals for the same reasons they don’t like to sell. They feel it is seedy to ask, that they shouldn’t have to ask, or that they don’t view it as a way to help more people. People that are happy with their progress, the program, and like and trust you, will be thrilled to refer their friends and family to you, but sometimes they may need a little nudge to remember to do that. You should also look to getting referrals from other health/fitness/beauty (yes, beauty) professionals, such as doctors, physical therapists, massage therapists, hair stylists, etc. And, like with your clients, you need to build value and trust with these professionals before you can ask for referrals. We’ll discuss those in more detail in a later post. Successful Personal Trainers get referrals. Are you getting yours? What’s Getting One More Client Worth? Are You Turning Down Work?